Who doesn't love this guy! 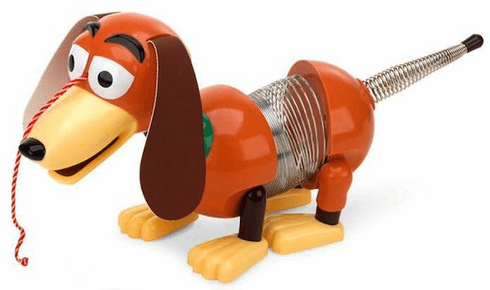 A classic toy turned super star in recent toy related kids movies, Slinky Dog is an adorable addition to any toy collection reguardless of the collectors age. Slinky Dog comes in retro 50's style packaging and is for ages 18 months+.